Low carb and filling Hot and Sour Soup for complete weeknight dinner. 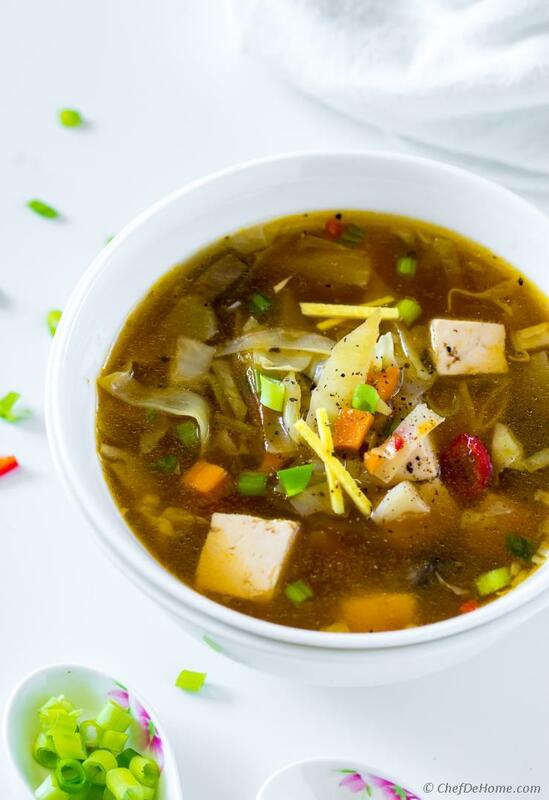 Hot and Sour Soup loaded with cabbage, carrots, veggie protein from tofu and delicious broth. Meatless, filling and vegetarian.. who need noodles or meat?! Hot and sour soup with cabbage, and tofu. Filling, lite, and has delicious hot and sour flavors in every sip. Gluten free, and vegan.. this easy soup is ready in 30 minutes and has all flavors of a best tasting hot and sour vegetarian soup! Don’t treat it like a starter because it has all you need for a veggie-full winter night dinner. 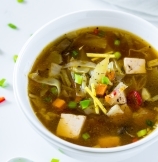 I love to load hot and sour soup with cabbage, carrots, ginger and scallions. These not only compliment the Asian flavors of the hot and sour broth... But also make soup filling. Really, a bowl of soup topped with tofu and it is complete chili night dinner. 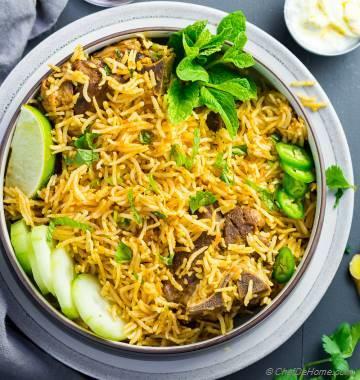 Low carb, with veggie protein and delicious flavors. Plus less dishes to wash. What else do I need!? That much and you know what? Soup needs only 10 minutes prep. All you need is chopped staple veggies and some basic pantry ingredients. I know! Only pantry ingredients and staple vegetables. If Hot and Soup at Asian eateries has ever intimated you? This soup will surprise you as how easy it is to make a big pot at home. Sounds like a promising winter dinner?! So, let's make some Spicy, Hot, and Sour Soup!! Shall we? So next time you bring cabbage home, think-outside-the-coleslaw-box. I mean, please try something different with cabbage. It is so under-appreciated vegetable and needs more love. It may be a humble vegetable but it's neutral flavor makes great addition to any meal. It is filling, low-carb and share lots of nutrient qualities with Brussel sprouts and cauliflower. 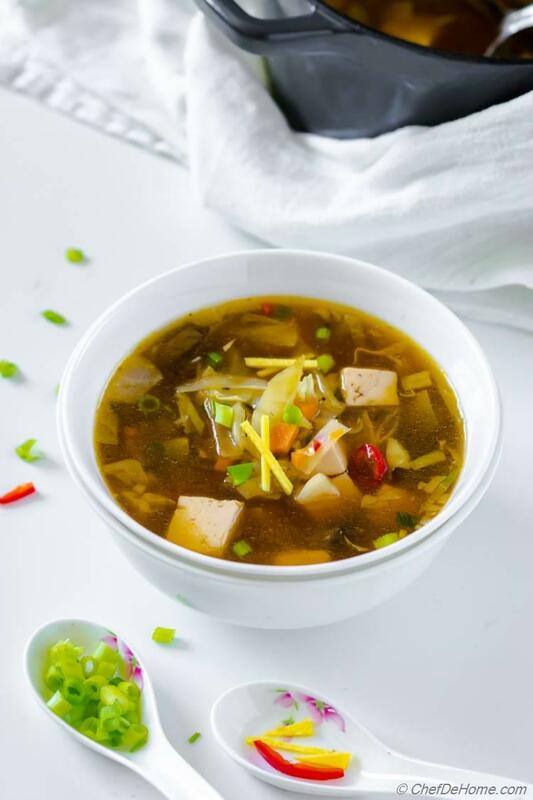 The base flavor of hot and sour soup is simply 4 main ingredients: 1) soy sauce for color and umami flavor, 2) corn starch for silky texture, 3) Vinegar for signature sour flavor, and 4) some chilies for heat. 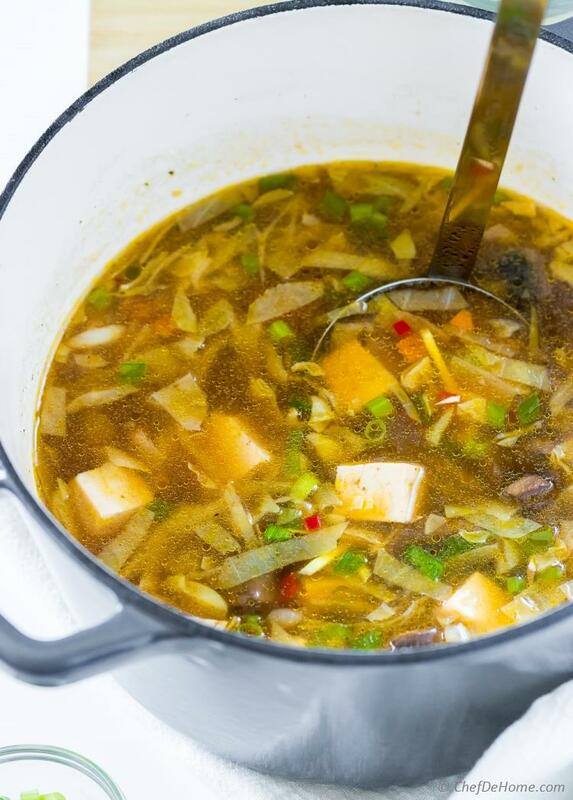 These 4 ingredients with simple sliced tofu and you can enjoy delicious easy hot and sour soup any day. Actually, my first bowl of hot and sour soup... I had about 10 years ago, was simply these 5 ingredients. Often, appetizer portion soup served in most Asian restaurants is as simple as this. For this hot and soup recipe, I take a little modern approach. Fill it with cabbage, mushroom, enhance the flavor with aromatic veggies, and amp-up heat with everyone's favorite sriracha. Honestly, this is how I make this soup at home. Loaded with fresh ingredients. You can say, cabbage here is my veggie noodles and tofu is protein. 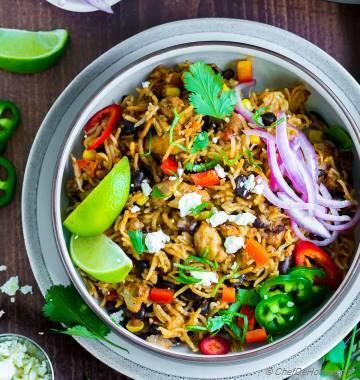 This savory loaded bowl makes a complete lite meal for busy weekdays. Short Cut Tip: To save prep time, a bag of mixed pre-cut veggies works best. Does this make you crave Hot and Sour soup or what? Let's head to directions and enjoy some delicious Hot and Sour Soup for dinner. 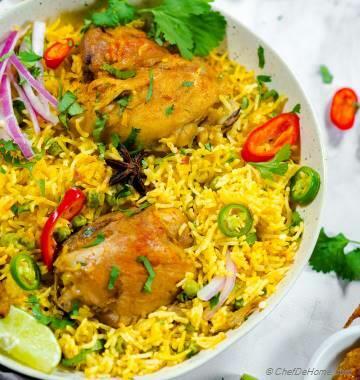 Total Time 30 minutes Prep Time 10 minutes Cook Time 20 minutes Difficulty Easy Yields 4-5 Servings Serves 5 Notes No. of servings depends on serving size. 1. Heat oil in a deep pot. Add onion, carrots, and celery. Saute until onions are soft. Add mushroom and cook until most water from mushroom has evaporated. 2. Add ginger, cabbage, half of green onions and saute until cabbage is soft (3-4 minutes). 3. Add stock, soy sauce, corn starch and cook for 10 minutes or until soup thickens. Add tofu and heat only until heated through. Mix in sriracha to taste. Serve hot and enjoy. If serving later, add tofu before serving as pores texture of tofu absorb color from soy sauce and makes soup lite in color. **Soy sauce add distinct flavor and taste to hot and sour soup. If using low-sodium, you need more to get good color and flavor. For regular soy sauce, start with 2 tbsp, then adjust per taste and desired color. For Gluten free, use Tamari Soy Sauce and make sure stock used is gluten free..
*Use small diced carrots, celery, and white part of green onion. Small diced. Reserve green part of onion for garnish.